Facebook, in its infinite wisdom and memory, reminded me last week that it’s already been “one year ago” that I came home with my very first tattoo: my Camino shell. I live in Seattle, where tattoos are practically a requirement for entry. And yet, whenever the subject would come up, I’d shrug. There was nothing I could imagine that I would want to commit to having on my body forever. Surely I would regret that quote/image/memory when I was 90. But then I walked a thousand miles in a single spring. It was the biggest, hardest thing I’ve ever planned and completed. I wanted to commit it to being part of me forever. Historically, the scallop shell is the iconic symbol of the Camino de Santiago, the holy pilgrimage to Santiago. In fact, one of the legends involves Saint James’ body miraculously washing ashore on the coast of Spain, far from where he was martyred in Jerusalem covered in scallop shells. 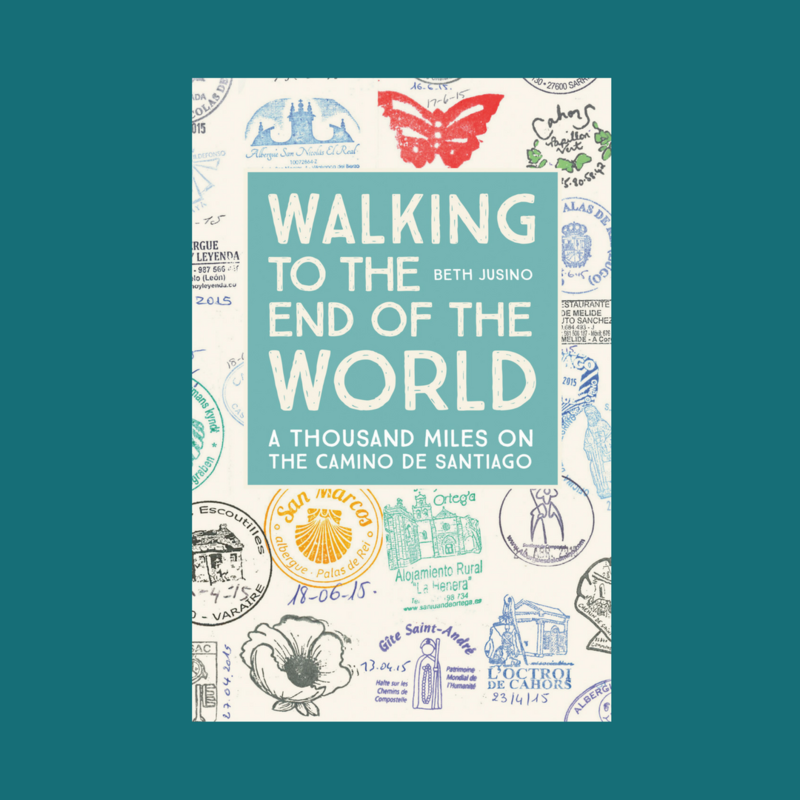 Another says that the scallop shell, with its ridges that fan out, represents the many different routes that pilgrims take, all coming together at the central point of Santiago. We know for sure that scallops are native to the coasts of Galicia. The earliest pilgrims, who trekked to the upstart holy city from their homes all over Europe without the benefits of Gore-Tex or Instagram, were given scallop shells when they arrived to prove that they’d made it. Or, again in another interpretation, they carried scallop shells with them on their journey, to use as a scoop for food or water along the way. Even today, I’m told “scallop shell” in French is called Coquille Saint Jacques, and in German scallops are called Jakobsmuscheln (James mussels). 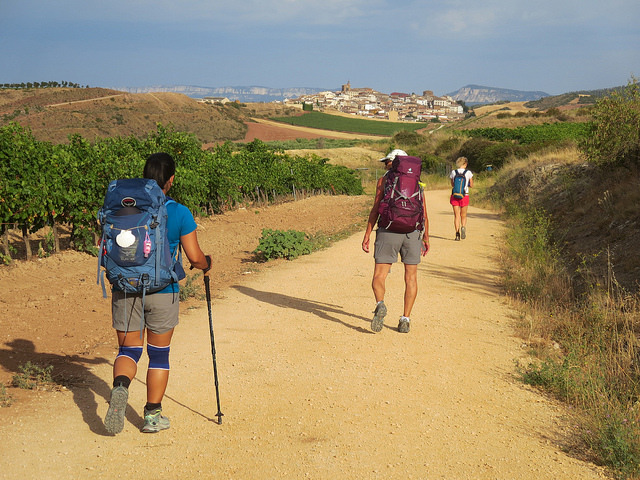 Today, the scallop shell is everywhere on the Camino: sold in tourist shops, used as roadside markers to show the way, sewn as patches on backpacks and printed on those branded Camino Buff scarves. There was a scallop shell engraved on the medallion I was given in the Cathedral of Le Puy on the first morning of our walk. And 79 days later, when we arrived in Finisterre, the beach was covered with shells, including these curiously flat, fanned-out scallop shells that were so completely different than our Pacific Northwest scallops. The beaches of Finisterre were pristine and littered with more beautiful shells than I’d ever seen. And when I came home, I took one of those specific shells to a tattoo artist, and she drew it for me. That little shell in the front became the specific model for the shell now inked on my ankle. It matches the shell on the medallion around my neck. There was also no question about where to get my tattoo—this was a walking trip, and my poor Princess feet had borne the brunt of the labor. It was only fair that the memento would be there. Ive had lots of discussions through the years about how to choose a tattoo, what really defines us…I think 1000 miles is defining! beautiful. I hope you don’t get mad at me for this, but I’m taking an image of your tattoo to a place today to see if I can get it replicated. I love it that much, plus what you said about the journey being such an important part of your life that you wanted to commit it to being part of you forever. I loved that so much and feel exactly the same way.